Rutledge Park is a small neighborhood playground in Atlanta, Georgia in the historic Druid Hills neighborhood. Much of this park is still under development. Boulevard Crossing Park is one of the newer parks of the Atlanta Beltine on the southern end not too far away from Grant Park. This park currently has two soccer fields. Welcome to Doc Magnet Memorial Aviation Park located at DeKalb Peachtree Airport in Atlanta, Georgia. This magnificent playground has benches where people can watch flights arrive and depart from the airport. There is also a children's playground, a covered picnic shelter in the shape of a hanger, and a memorial brick area. Briar Vista Elementary School Park is located on the campus of Briar Vista Elementary School in Atlanta, Georgia. Please use when school is not in session. 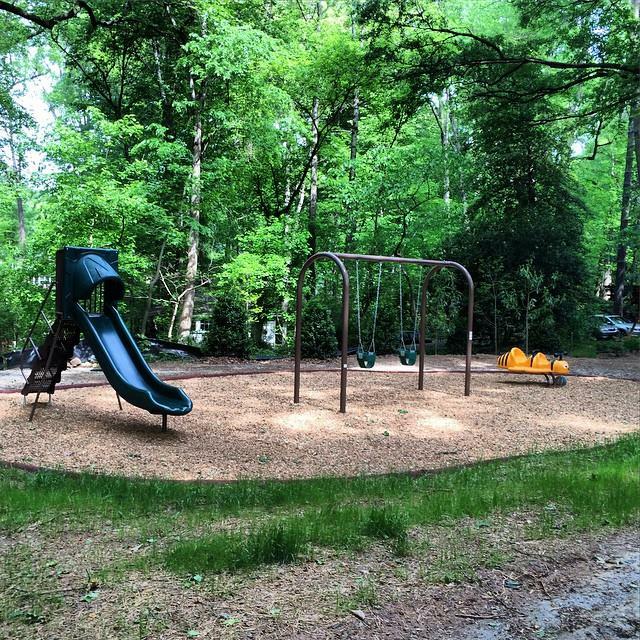 Harold Avenue Greenspace is located on the edge of the Frazier Center Forest in Atlanta, Georgia. Rose Circle Triangle Park is a small piece of urban green space in Atlanta, Georgia.